Enjoy a Private Guide and a Floating 5 Star Hotel, with full amenities, food and beverage. Our Egyptologist guide will join you on board. This means that you do the sightseeing tours either with your own private guide or with one of our small groups and a guide that you know, rather than joining one of the large parties with the rest of the boat. 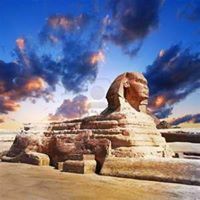 Our guide is also at your service during the cruise to help with any problems with your cabin, dietary requirements at mealtimes, or just to sit and talk with you about Egypt and its wonders. 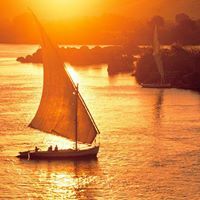 We use several 5 star cruise boats on the Nile, and will inform you which boat we use at the time of reservation. The ship categroies we use are Deluxe with 5 star facilities, and Super Deluxe which are newer 5 Star ships. You will have an en-suite, air-conditioned cabin and full use of all the boats facilities such as restaurants, sun deck, swimming pool, etc. There is a large selection of beverages (adult and non-alcoholic) available at the bar. Accommodation aboard the cruise boats is on full board basis. All meals are included and are in an open buffet style, some days there are many varieties, depending of the type and quality of the cruise boat; these meals are served with a fixed timetable. Tea and coffee is available, while on the move, every day at 5:00 pm. Other drinks are offered in the bar area. Enjoy a daily entertainment program including Disco, Belly Dance Show, Captain's Welcome Cocktail Party (formal), fancy Galabia (long dress) Party and Nubian Folkloric Show. During the daytime, while enjoying the tours, you can wear whatever you like, though due to the extreme heat it is recommended you wear lightweight clothes. While relaxing on board you may wear shorts and swimming costumes, if you wish. Breakfast and lunch can be taken dressed like this, but for dinner, please wear smarter clothes! All extras such as drink, laundry, and telephones bills, should be settled on the last day of your cruise at checkout time. Payment can be made with credit cards, traveller’s cheque, or cash. Make sure you have enough cash, just in case your card is not working properly. We recommend visiting a bank, to change your money, before cruising, as most of the cruise boats do not offer this facility. Don’t forget to leave tips for the cruise staff of no less than $3 per person per day. Hand an envelope to reception and the cruise manager will distribute the money fairly. This does not include tips to your tour guide, and it is entirely up to you to decide the size of tip that you will give to him/her. Check in is at 12:00 p.m. and Checkout is at 08:00 a.m.
During the daytime, while enjoying the tours, you can wear whatever you like, though due to the extreme heat it is recommended you wear lightweight clothes. While relaxing on board you may wear shorts and swimming costumes, if you wish. Apply plenty of high factor sun block! 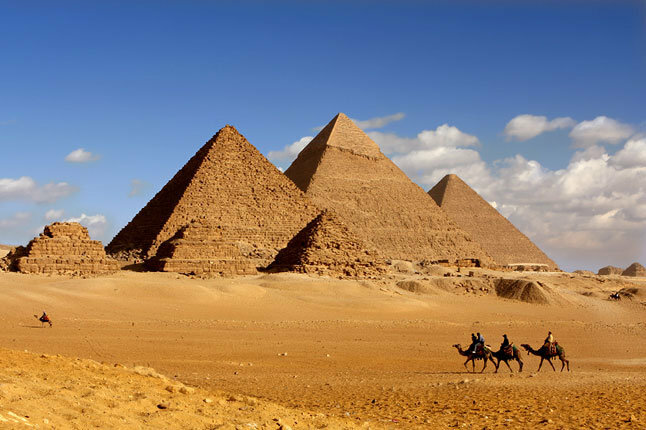 For practical reasons on the Nile, the cruise may be subject to slight alterations at short notice while you are in Egypt. Most sailing is done during the day, but during some periods some sailing may be required after dark. At busy periods the boat may be required to wait for a short time to get through the lock on the Nile at Esna. Upon checking in on the cruise boat, it is advisable to leave your valuables in a safety deposit box. This will be available either in the reception, or a private safe in your cabin.